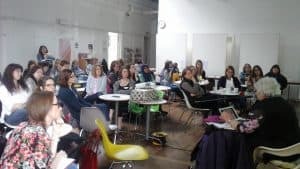 Maureen Minchin, author of Milk Matters: Infant Feeding & Immune Disorder, recently spoke to an audience of LLL Leaders and Healthcare Professionals at an LLL workshop in Shipley. Maureen is a mother of three, infant feeding author and activist, pioneer lactation consultant and historian. 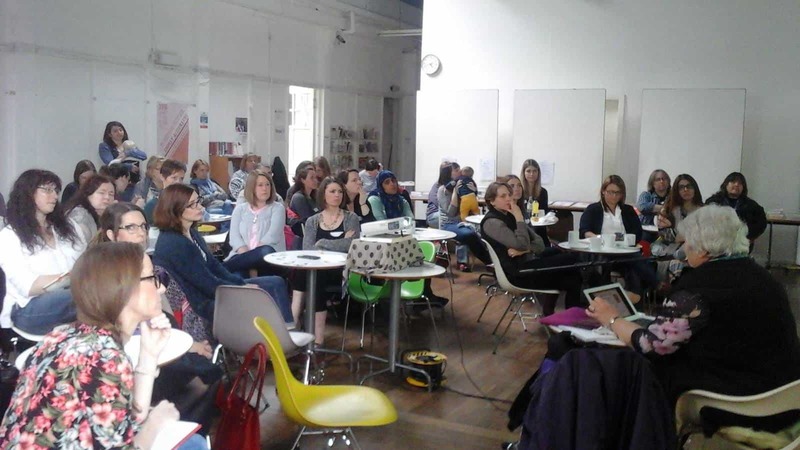 She was involved in the creation of the UNICEF Baby Friendly Initiative, and has helped design the content of many university-based educational modules for health professionals, including the NHS-funded e-Learning for Healthcare. She is a reviewer of the International Breastfeeding Journal and the author of a number of books. Her latest publication, the highly acclaimed Milk Matters: Infant Feeding & Immune Disorder, brings together science, history and clinical practice to challenge conventional thinking on infant formula: it argues for a Milk Hypothesis to explain the origins of modern disease epidemics, considering infant nutrition as their single most important contributor. Maureen is an engaging speaker, she covered a vast amount of material and responded willingly to questions. In her session Why Women’s Milk is Necessary, she used epigenetics to explore the intergenerational impact that formula milk can have, and examined why species specific milk is essential. She began from the basic premise that any mammal not fed species specific milk will be physiologically affected. Breastmilk is a basic part of immunology; although it is the body’s primary defence system, it is often not acknowledged as such, thus resulting in breast or artificial feeding being presented as a parental choice. Maureen argues that “milk is the necessary bridge from the womb to the world”, and thereafter the first 1000 days of feeding are the single most important factor in a child’s health outcomes. Her session explored the role played by artificial feeding in setting off the obesity epidemic, it looked at intolerance and allergy in mother and child, and discussed the importance of milk banks, suggesting what strategies could be developed to improve access to donor milk. Maureen also pointed out less well known facts, such as the frequent existence of connections between allergy organisations and artificial milk companies, and the possibility that unwarranted exposure to bovine protein could be subject to class action suits in the future. Maureen Minchin also attended the recent meeting of the APPG on Breastfeeding and Inequalities to highlight her contributions to the discussions. See our report in this newsletter to read more. Milk Matters: Infant feeding & immune disorder on offer in the LLLGB Shop at £10 under online retailers’ prices and exclusive signed copies while stocks last.